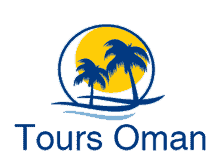 depart Muscat and head to the desert of wahiba sands ,Stop at fanya Fanya, where we will drive through the town and explore the ancient mud buildings. Our next stop is the city of Ibra. visit the local market and have some lunch. After visiting Ibras ancient village, continue to our desert camp in the Wahiba Sands where our guide will show his experience in riding over the huge dunes . Then we will watch sunset of the desert on one of the big sand dunes. We finish the day with a Dinner at the camp . visit the City of Sur with some old fortresses and the famous Arabian Dhow Factory, where you can see traditional wooden Dhows being built. Today we drive to Wadi Shab. On the way we make a photo stop in Qalhat at the The Tomb of Bibi Mariam. Then we drive back to Muscat .